By early September I will have a fully painted Bolt Action British Chindit army. But what good is having a fully painted army if you do not have terrain to go along with it? Enter the “Far East” range by Sarissa Precision. Excited to have a table that thematically matched my army, I picked up the Pacific Village bundle as my starting point. I was concerned with placing the order for all of this MDF terrain. 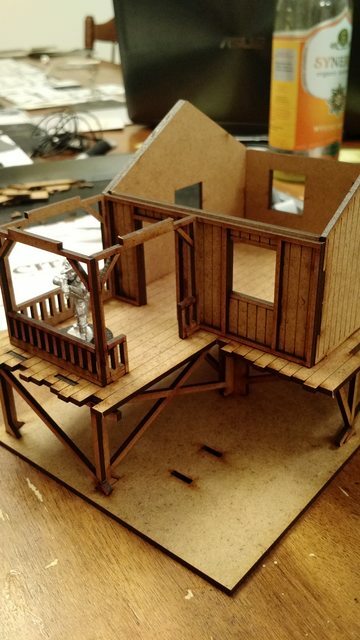 I have consistently heard negative things about MDF buildings in general and I built several Infinity buildings from Custom Meeple for a commission and they were a huge pain. The instructions were unclear and the pieces needed loads of additional cutting to make them fit. Needless to say, I was worried about these “Far East” kits. And I could not have been more wrong! 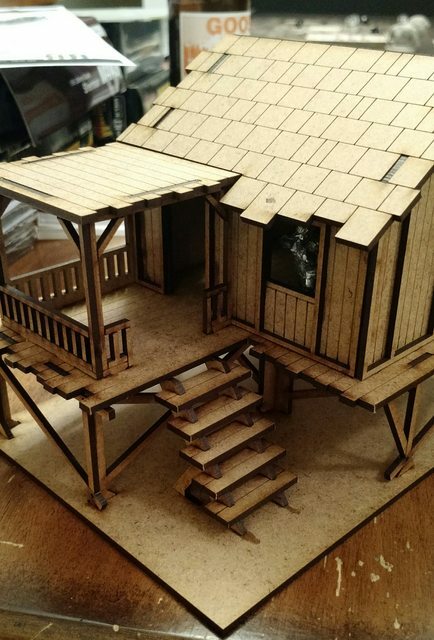 Every one of the Sarissa Precision buildings was a joy to build. The one page instructions were clear and detailed. All of the components lined up and needed almost no extra work to make the pieces fit. Unlike previous MDF kits that I have built, I did not find myself cutting, filing and scrapping the components fit together. Also, none of the buildings were constructed in a way the required many pieces to be held in place at once to get a fit. Each building could be built one section at a time. Each building took less than fifteen minutes to build, a huge plus. My main focus is on the models, not the terrain and I was thrilled that I did not have to spend ages attaching little odds and ends to the buildings to give them a completed look. It is clear that these kits were created with gaming in mind. All of roofs are study and removable, a practical feature. The interiors do not contain much detail, my only complaint, but there is plenty of room for models to be placed inside. Once again, Sarissa Precision delivers. Ben is a big fan of their landing craft and I highly recommend these kits as well. 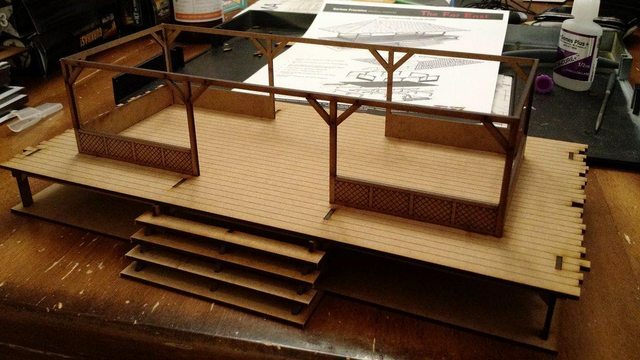 When this set of buildings is finished, I will be looking to Sarissa for my next project.